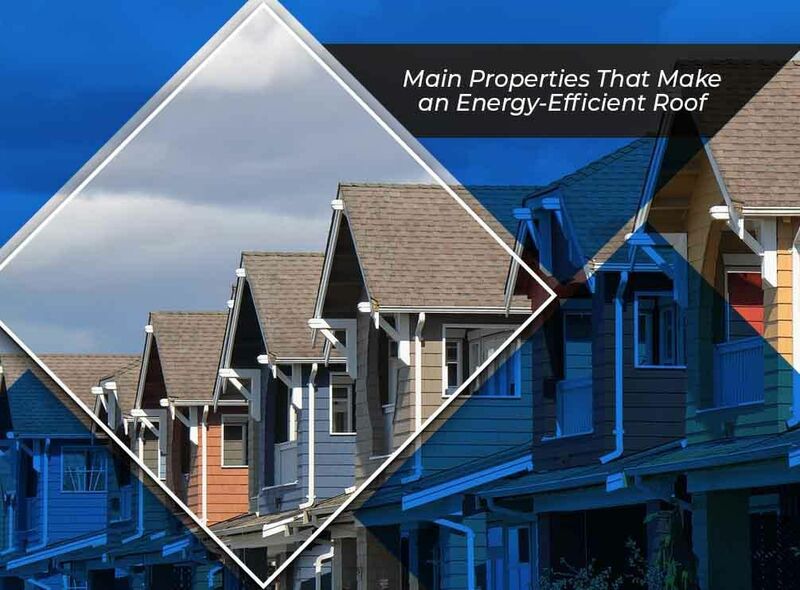 Main Properties That Make an Energy-Efficient Roof - Eldridge Roofing & Restoration, Inc. Many homeowners today are switching to energy-efficient roofs, or “cool roofs,” to save money on their energy bills while also helping the environment. Different types of cool roofs come with varying energy performance ratings to meet the demands of different climates. Cool roofs take advantage of two main properties called reflectance and emittance. Eldridge Roofing and Restoration, your reliable roofing company, explains more below. Reflectance is the capability of the roofing material to reflect the heat from the sun away from your home instead of absorbing it. It’s listed as either 0 or 1, with 1 meaning it’s efficient at reflecting heat away from your home. This is especially important in hot climates. Emittance is the roofing material’s ability to release heat instead of retaining it. It’s also listed as 0 or 1. A value of 1 means the roof is better at releasing heat absorbed from the sun. This helps stabilize your indoor temperature while reducing the burden on your HVAC units. When looking for quality cool roofs, always look for the ENERGY STAR® label. This means the roof went through stringent testing to ensure long-term performance. This gives you a means to identify which products meet higher energy efficiency standards. As a GAF Master Elite™ roofing contractor, Eldridge Roofing and Restoration recommends Timberline® Cool Series® shingles for your needs. These shingles have higher reflectance than traditional types, which means they can help keep your home cool and comfortable all year round. They are also ENERGY STAR-certified. We back them with superior warranties for your peace of mind. You can rely on us for energy-efficient roofing solutions. Give us a call today at (281) 816-6006 to learn more about our products and services. We serve Houston, Conroe, Katy and nearby areas in Texas.